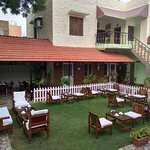 We made this trip recently and had pleasant experience with our stay at Dhillon House. Rooms along with toilets/bathrooms are spacious, with simple yet elegant furniture and furnishings. 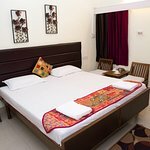 Best part of the whole stay was helpful staff and excellent hospitality provided by the Manager, Mr. Ashish, who is friendly, cooperative and sincere (follows-up diligently on the requests). He has good knowledge of the city, and truly personifies the spirit of a Trip Advisor!! Room tip: We had chosen room on first floor (above ground), and had a small terrace view. 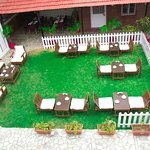 good budget hotel for homely stay. Coparetive and good staff and owner. Mr. Ashish Gupta nice person. Will keep visiting whenever fill like comomg your town. Hope could be there while opening of your resturant. It will complete your guest house, as people will get quality food at same place. Nice little guesthouse not far from the forth. Thanks for sparing time in evaluating our property and services. 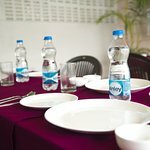 It gives great satisfaction that you like our rooms & meals. We will love to welcome you again. The moment we arrived there is no one on the Reception. They don't have proper staff to attend you even they didn't welcome me . While entering in the room we have one big disappointment, rooms were so below average. They don't have menu for breakfast, lunch and dinner. Morning breakfast will be paratha with no extra butter,curd or even black pepper, it might be possible that they will give you plain roti and vegetable with some sweets. The staffs were so unprofessional . Please don't stay here. We feel sorry that your stay with us was not as per your expectation. You must have seen that we are running a small home stay property with just eight rooms. Though to give the proper service we have four staff. Your stay was in extreme peak days i.e on Jan 2, 2018. I cant deny that there may be some issue in giving personalized service. Being small boutique guest house we have kept fix menu for our breakfast. For the lunch & dinner we serve the veg food as per the menu. Also we have the Veg- thali system. Parantha with curd/ vegetables along Tea/Coffee are very much popular in our Indian customer. We have noted your suggestion and include some more breakfast item in our menu.